When it is a matter of gaming or working on a PC, the display is the most important and useful thing. 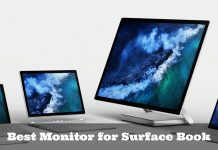 For getting the best monitor; the resolution, refresh rate, and response time are the essential factors to consider. Obtaining the desired refresh rate and smoothness in the visuals need an advanced synchronization technology. And why to go for anything else when you can get a dynamic refresh rate on your system. Yes, I am talking about the G-Sync format from NVIDIA. This refresh rate technology gives smoother and tear-free immersion. It reduces the other display issues like screen tearing. 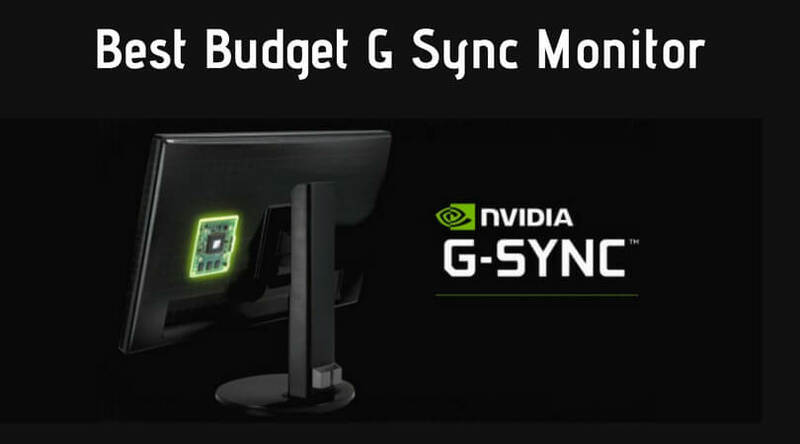 But, getting a best G sync display is not that easy, especially if you have a low budget. That’s why I created this list on the best affordable g sync monitors. Check it and get what you desired. 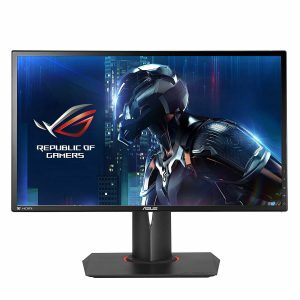 The Rog Swift PG248Q monitor from ASUS is fast and sharp. This G-sync eSports display allows you to enjoy the tear-free gaming experience. The NVIDIA G-sync will deliver extra smooth performance through the useful properties. The flicker-free technology & blue light filter offer a comfortable viewing. It provides 1ms response time and 180Hz (on overclock) refresh rate. The 24-inch display has a resolution of 1920 x 1080 pixels (1080p) (FHD). It has the connectivity options of one USB 3.0, one DisplayPort 1.2, and one HDMI ports. Adjustments like height, swivel, pivot, and tilt help to play games in the comfort of positions. It is Not only perfect for delivering excellent performance as a single monitor but also great for multi-display setups. After a successful and prolonged period of providing quality monitors for every possible use, Dell now entered in the gaming era. 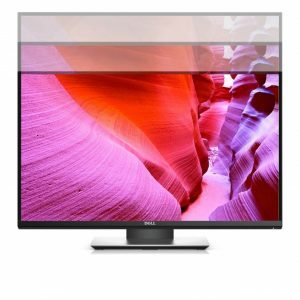 The S2417DG YNY1D display from Dell gives stunning visuals through the QHD (Quad HD) resolution. The TN panel makes it possible to get the decent gaming G Sync addition at an affordable price. It offers 1ms response time along with a 165Hz refresh rate. resolution and 16:9 aspect ratio. The optimal preset modes will help you to play games according to your choices. 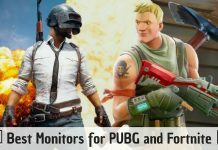 You can make dual monitor setup to have an ideal gaming experience. You will get a 3-year advanced exchange service from the company. 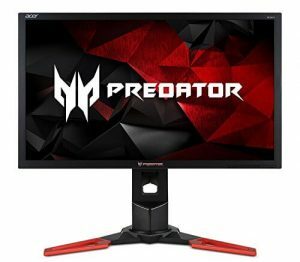 There are many reasons to buy the Acer Predator XB241H, but the best one from my point of view is the synchronization of its NVIDIA G Sync technique makes with the GPU of the computer system. This capability allows it to eliminate the screen tearing, stuttering, and input lag like common display problems while gaming. Whether you are a new or a pro gamer, whether you have a low-budget or no bars, I recommend this screen to you. It is built with Twisted Nematic (TN) panel technology to make it possible of getting the display at a cheap rate. It has an FHD widescreen of 24 inches and a resolution of 1920×1080 pixels. The flicker-less feature reduces eye strain when you play or work on the PC for extended periods. Adjustable height and swivel features help you to enjoy watching the content on the screen from a comfortable angle. It comes with one HDMI port and one display port for the connectivity. The company will give a 3-year manufacturer warranty on parts and labor. Another top brand, BenQ provides the G sync display. 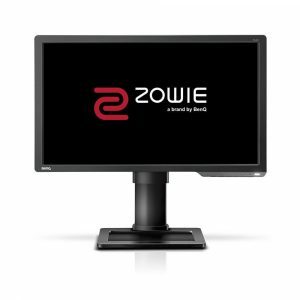 It delivers genuinely competitive performance on its 24-inch screen with 350 cd/m2 brightness and 1000:1 contrast ratio. The black eQualizer will cut the dark corners on display & improve the visibility. It comes with adjustable height stand to help you view the screen from a comfortable position. It provides 144Hz refresh rate with a 1ms response time. This screen comes with connectivity ports like DVI-DL, Display, HDMI 1.4, and a headphone jack. The eSports animated feature makes it compatible with most of the professional tournaments for eSports players. The flicker-free technology & low blue light feature together provide best visual experience. It comes with a 3-year manufacturer warranty. 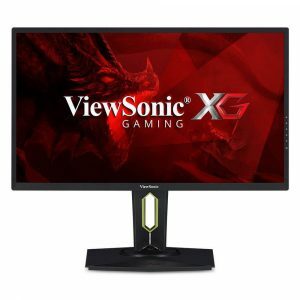 From ViewSonic, you will get a fully-featured gaming display. The inbuilt NVIDIA G-Sync technology helps you getting the even-textured frame rates to stay ahead of your opponents. This display has a bigger 25-inch screen to let you enjoy viewing. It provides an excellent refresh rate of 240Hz with a 1ms response time to put you at the edge of gaming. Full HD resolution with customized gaming modes for FPS, eSports, RTS, and MOBA games keep you always ready for the challenges. The ergonomic stand helps you to view the screen from a comfortable angle. It has connectivity options like USB, HDMI, and Display ports to attach with your PC, laptop, and other systems. You will get a company warranty of three years for this product. Before a couple of years, it was not possible to get a cheap G sync monitor. But with the technology advancements and higher competition, nowadays, it is an achievable thing. 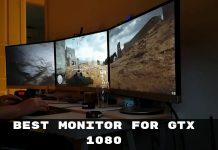 Still, there are some displays that you can’t get at a budget price, so I filtered the best G sync monitors from top brands that are available at affordable costs. So, with which display will you go? What are your individual needs for getting a monitor with a G sync technology? Share your thoughts on the comment section below.